Pagone J has awarded Pokémon $1 in damages and 70% of its costs from Redbubble for misleading or deceptive conduct and copyright infringement. An interesting aspect of the case is that Redbubble’s implementation of a notice and take down scheme under the DMCA didn’t save it from liability, but did influence the ruling on remedies. Redbubble provides a print on demand online market place by which artists can upload their works to the Redbubble website and purchasers can then buy the artworks or designs applied to desired products such as t-shirts, cups and the like. A person uploading a work to the marketplace warrants that he or she has the relevant intellectual property rights and indemnified Redbubble against infringement claims. The evidence showed Google searches in which paid (sponsored) and organic search results listing “Pokémon” products such as t-shirts bearing Pokemon’s Pikachu character which could be ordered from the Redbubble site. The sponsored links were paid for and arranged by Redbubble through the Google Merchant Centre and the products themselves were offered for sale through Google Shopping. From the tenor of the judgment, I think that the designs were uploaded by third parties, but Redbubble arranged the “fulfillers” who printed and shipped the t-shirts (and other products) with the designs printed on them. Pagone J found that Pokémon owned the copyright in the images of the Pokémon characters depicted on the various products in evidence. Further, the images were uploaded without Pokemon’s consent. Pagone J found therefore that Redbubble had infringed Pokemon’s copyright and misrepresented, contrary to sections 18 and 29(1)(g) and (h) of the Australian Consumer Law, that the products were official or authorised Pokémon products. There was nothing on the Redbubble website to inform the consumer that there was no connection, authorised or otherwise, between Redbubble on the one hand and [Pokemon] (or any other entity authorised to exploit Pokémon products) on the other. …. He conceded in cross?examination that he had not stood over the shoulder of any creator and, therefore, that he did not have direct eyewitness, or other direct, knowledge beyond that gained from “detailed consultation with the client” but that “with respect to each series of the cards, [he had] consult[ed] with the client to determine which – for instance, which Japanese card they derive[d] from, or [… where] the artwork comes from”. His specific and direct evidence was that of consulting with the client to determine that the works were made by the Japanese company and were made as the Japanese card, although, as mentioned, he did not fly personally to Japan and had not been witness to the creation process. It had been his specific professional responsibility to obtain and secure registrations in accordance with lawful entitlements and requirements. He was confident in that context of his conclusion that the Pikachu work was not a copy based upon an animation cell because of his experience over many years of consulting with the client as his professional obligations and legal duties. In specific response in cross?examination about being confident in giving evidence that the pose of Pikachu was not derivative of any other pose already published, Mr Monahan said that every investigation he had done about the card making process enabled him to say that the cards were generated on their own and were not derivative of the animation, “common poses notwithstanding”. In the present case Redbubble does not provide the content of the communications in the sense of being the originator of any of the 29 images on its website said to be infringements of the Pikachu work. In each case the originator was the artist who had placed the image on the Redbubble website. Redbubble, however, was responsible for determining that content through its processes, protocols and arrangements with the artists. Redbubble’s position is not like that of an internet provider. Redbubble is the host of the website with the infringing material. It has a user agreement with artists which deals with matters including the possibility of infringing materials, an IP policy, and a team dedicated to deal with impermissible content. Secondly, offering the products for sale online was sufficient to enliven s 38 which, amongst other things, extends to exhibiting “infringing” articles in public by way of trade. Although there appear to have been some rather unspecific complaints about copyright infringement by Pokémon between 2012 and 2014, Pagone J found that Redbubble knew, or ought reasonably have known, that the products were infringing from the date of the letter of demand from Pokémon’s external solicitors on 25 November 2015. Thirdly, Pagone J held that Redbubble had infringed Pokemon’s copyright by authorising the manufacture of the infringing products when orders for their purchase were placed. The business established by Redbubble carried the inherent risk of infringement of copyright of the kind complained of by [Pokemon]. It is true that Redbubble sought to mitigate the risk, but it was an inevitable incident of the business, as Redbubble chose to conduct it, that there were likely to be infringements. It could have prevented them by taking other steps but for business reasons Redbubble chose to deal with the risk of infringement by a process that enabled the infringements to occur. Such infringements were embedded in the system which was created for, and adopted by, Redbubble. There may have been a sound commercial basis for Redbubble to manage the risks of infringement as it did, but in doing so it authorised the infringements which occurred. Pokémon sought $44,555.84 in damages by way of lost royalties for the consumer law breaches and only nominal damages for copyright infringement. As already noted, however, Pagone J awarded only $1 in total. …. Many of the items sold through the Redbubble website involved a “mash up” of images, such as the combination of Pikachu and Homer Simpson. The finding of an infringing use of a work, or an impermissible representation in trade, does not necessarily lead to the conclusion that the sale made by the infringement or upon the misrepresentation was necessarily a sale that would have been made by the wronged party. The unreliability of such an assumption in this case can be seen from the fact that the infringements were in the use of the image in mash ups in, and in items that were not sold or authorised for sale by [Pokemon]. …. Implementation and compliance with the DMCA scheme explicitly affected the ruling on additional damages. ? Even if you haven’t played it, you must have seen all those people milling around in parks at lunchtime trying to “capture” these imaginary Pokémon Go “critters”. Pokemon itself has an even longer history. There are also trading card games and a successful television series which has been broadcast in Australia since 2000 and distributed on over 57,000 DVDs. ? If you are not sweltering in the southern summer sun, s 18 provides “A person must not, in trade or commerce, engage in conduct that is misleading or deceptive or is likely to mislead or deceive.” And s 29(1)(g) and (h) prohibit making false or misleading representations in trade or commerce about sponsorship, affiliation or approval. ? Curiously, at  (when discussing ownership by proof of a certificate), his Honour also said Pokémon had not proved ownership on the basis of authorship. ? In fact, Pagone J subsequently found that Redbubble did in fact remove listings when Pokemon notified it that they were infringing. ? It is less than clear from the judgment what action Redbubble took in response to the letter of demand. Ordinarily, one would assume that it had continued engaging in the infringing conduct but that seems a bit surprising given Pagone J records that Redbubble did comply with other take down notices once the subject of complaint had been properly identified. ? The DMCA, being US legislation, does not provide protection from infringement in Australia under the Australian Copyright Act 1968. Redbubble also purported to operate under the corresponding Australian provisions ss116AA – 116AJ but, of course, it is not a carriage service provider and so they do not apply either. ? Cf. esp. Section 36(1A)(c)[s36]. ? Following on from the Full Court’s warnings in Australian Mud Company v Coretell, Dowsett J has now dismissed Morellini’s claim for damages for unjustified threats. This is a short point, but it bears notice as people often come to me thinking it is enough to show there has been an unjustified threat – it isn’t, if you want monetary compensation. Mizzi and Morellini are both in North Queensland and came up with machines for planting sugar cane. Mizzi patented his. Dowsett J found that Morellini’s machine did not infringe Mizzi’s patent and Mizzi had made unjustified threats of patent infringement. On appeal, the Full Court also ruled that Mizzi’s patent was invalid for false suggestion. There was no dispute that Mizzi had made unjustified threats. On 5 April 2010, it had caused to be published in the Canegrower trade magazine a notice about its pending patent and an article by “Invention Pathways” about the consequences “[i]f the patent owner decides to pursue his rights ….” Then in June 2011, Mr Mizzi made oral threats to a Mr Girgenti about the use of a Morellini machine. There is no direct evidence that anybody declined to deal with Mr Morellini as a result of the threats. It seems that even before the newspaper article on 5 April 2010, there was a degree of reluctance concerning any such dealings. That reluctance cannot have been attributable to the threats. Mr Morellini has not demonstrated that any adverse effect resulted from either of the threats. Secondly, Dowsett J accepted that damages could be available for lost sales opportunities and delayed sales, if they could be linked to the threats. However, Morellini did not provide detailed evidence about how he would have exploited his machine commercially and why he had not been exploiting it “in more recent times”. That is, Dowsett J wanted to know what was Morellini’s plan (if he had one) for exploiting his machine commercially and why he had not been doing so. You will recall that Beach J ordered Lucky Homes and the Mistrys to pay Henley Arch $34,400 by way of compensatory damages and Lucky Homes to pay $25,000 and Mr Mistry $10,000 by way of additional damages for infringing Henley’s copyright in its Amalfi plan. An earlier post looked at the Mistry’s claim to apportion liability (refused) and their cross-claim against Lucky Homes for misleading or deceptive conduct. This post adds some comments on the damages awards. You will recall that the Mistrys had their first house built for them by Henley according to one of Henley’s designs. When they came to build their next, “dream” home, they began negotiating with Henley to use its Amalfi design. Just before they signed up with Henley, however, they met with Lucky Homes. Within a very short space of time, the Mistrys signed up with Lucky Homes to have it build for them what was in effect an Amalfi home with “some” changes. The changes did not avoid copyright infringement. Where, in an action for infringement of copyright, it is established that an infringement was committed but it is also established that, at the time of the infringement, the defendant was not aware, and had no reasonable grounds for suspecting, that the act constituting the infringement was an infringement of the copyright, the plaintiff is not entitled under this section to any damages against the defendant in respect of the infringement, but is entitled to an account of profits in respect of the infringement whether any other relief is granted under this section or not. This “defence” has both a subjective element and an objective element. The Mistrys had to prove that they were not actually aware what they did was an infringement and they had no reasonable grounds for suspecting it was. These are not easy tests to satisfy and it is very rare for them to be invoked successfully. The Mistrys failed to satisfy the objective requirement. The pre-contract documents they signed with Henley included clauses stating that the information they were provided with was confidential and the exclusive property of Henley. Further, the pro forma plans and the plans prepared specifically for their land each included a copyright notice: “© Henley Arch P/L”. Beach J considered at  these clauses and notices would have put reasonable persons in the position of the Mistrys on notice that Henley claimed copyright and its permission was required to use them. That is, the Mistrys could not show they had no reasonable grounds for suspecting they would infringe copyright. the assurances given by Mr Shafiq that only 15 to 20 changes were required ought not to have been relied on by persons who were proposing to spend nearly $250,000 based on that assurance, without checking it with a lawyer, particularly in the light of the specific acknowledgements set out in the various versions of the tender documents that they had notice of. The fact that the Mistrys did rely upon Mr Shafiq’s representations does not establish the objective limb of “no reasonable grounds”. Moreover, to say that they relied upon Mr Shafiq’s statements does not necessarily entail that they had no suspicions about whether they could use the Amalfi Avenue floorplan. In my view, whatever Mr Shafiq said, the Mistrys had reasonable grounds for suspecting that the use of that floorplan constituted an infringement. At the least, they have not discharged the onus of proving that they had no reasonable grounds for suspecting. Damages under s 115(2) are in the alternative to an account of (the infringer’s) profits. S 115(2) damages are compensatory; they are to put the copyright owner back in the position it would have been in if there had been no infringement (so far as a monetary award can do that). Beach J considered that the “lost profits” method was the appropriate measure in this case. That is, the profit Henley lost on the Amalfi house it would have built if the Mistrys had gone ahead was the appropriate measure. where one is utilising the lost profits method based upon the loss of a chance or opportunity, there are two questions to consider. The first question is whether there has been such a lost opportunity. This is determined on the balance of probabilities. The second question is what is the value of that lost opportunity. That is to be decided on the possibilities or probabilities of the case (Sellars v Adelaide Petroleum NL (1994) 179 CLR 332 at 355 per Mason CJ, Dawson, Toohey and Gaudron JJ and at 365 to 368 per Brennan J). But some estimation or even educated guesswork under either question may be required and is justifiable. The Mistrys of course said they never would have contracted with Henley. They had become too frustrated with delays and the price for the house with the facade they really wanted was too high ($10,000 higher than the more basic option). Beach J rejected this claim. His Honour pointed out that, until they met with Lucky Homes, the Mistrys had been anxiously pressing Henley to finalise the contract documentation, even demanding it move up the settlement date. His Honour also rejected the Mistrys’ complaints about the delays in process as “implausible”. Amongst other things, Henley couldn’t finalise the buidling contract until the certificate of title to the land had issued to the Mistrys and that had occurred only a week or two before the Mistrys were introduced to Lucky Homes. This was to be the Mistrys’ “dream home”. They were anxious to get its construction underway. If Lucky Homes hadn’t turned up, Beach J did not think it realistic that the Mistrys would have abandoned the process with Henley and start all over again. On the question of quantum, Beach J considered that EBIT (earnings before interest and tax) was the appropriate measure. When it comes to calculating profits, there is usually a ding dong battle over how much should be excluded from the gross profits to allow for overheads. Beach J side-stepped that fight here. In a context where Henley was building about 1,000 homes a year, it was unlikely that there would have been any increase in its overheads building the home for the Mistrys, a single house. Henley’s evidence was that the total profit after allowing for variable (direct) costs it would have made was $48,231.83 (ex GST). There were some evidential disputes about this, but his Honour considered it was reasonable. At , Beach J declared it should be reduced by 10% to allow for contingencies and to reflect the uncertainty in the estimates advanced, and rounded that calculation down to $43,000. That had to be further discounted by 20% to reflect his Honour’s finding that there was only an 80% chance the Mistrys would indeed have bought the house from Henley. Thus the award of $34,400. Unlike damages under s 115(2), damages under s 115(4) may include a punitive element – to punish the wrongdoer and to deter others. Henley contended that $250,000 would reflect the culpability of Lucky Homes and $75,000 that of Mr Mistry. Beach J considered these amounts wholly disproportionate. Accepting the degree of culpability involved and, amongst other things, taking into account the (un)likelihood of repetition of the conduct and the parties’ respective abilities to pay, his Honour ordered that Lucky Homes pay $25,000 by way of additional damages and Mr Mistry $10,000. You will remember that, on the Mistrys’ cross-claim, Beach J ordered that Lucky Homes only had to be accountable for 50% of the additional damages awarded against Mr Mistry. This was because Mr Mistry’s participation in Lucky Homes’ creation of a copy of Henley’s pro forma plan without Henley’s copyright notice and his unsatisfactory approach to giving evidence meant Mr Mistry should bear some proportion of the sanction himself. Beach J did not consider Mrs Mistry’s involvement in the infringing conduct warranted any award of additional damages. The infringing conduct came to light because the Mistrys sued Henley in VCAT to recover their deposit! ? The battle between Gram Engineering and Bluescope is continuing: this time Jagot J has ruled that Gram’s managing director (and sole shareholder), Mr Mann, may have access to financial information Bluescope has been required to make available. Following the Full Court’s ruling that Gram’s design for its steel fencing panel was valid and Bluescope had infringed that design, Bluescope has been required to provide an affidavt disclosing its sales, revenues and costs so that Gram can make an informed election whether to seek damages or an account of profits. Bluescope claimed confidentiality in the information and Gram applied for permission to disclose the information to Mr Mann so that Gram could make an informed decision. Jagot J was not at all inclined to accept that most of the information was confidential in the sense of requiring stringent protection: it related to the period 2005 – 2010 and was largely stale. However, some more recent information relating to the period 2013 – 2015 could be fairly regarded as sufficiently current and confidential to warrant protection. However, confidentiality alone is not enough to resist production. Where the information is relevant, a balancing exercise is involved. Jagot J accespted that the relationship of the proposed disclosees to the discloser’s trade competitor was highly relevant, especially where the disclosees owed fiduciary obligations to the trade competitor (and so putting them potentially in a position of conflict of interest). Here, however and unlike the cases Bluescope relied on, Gram was not a large company with a large (executive) staff. Mr Mann was the managing director and sole shareholder. It was “not difficult to infer that he was [Gram’s] controlling mind.” He was the person who would have to make the decision whether to proceed with a claim for damages or an account and he could not make that decision without access to the relevant infromation. Bluescope had relied on Anchorage Capital Partners Pty Limited v ACPA Pty Limited (No 2)  FCA 1165 and Luxottica Retail Australia Pty Ltd v Specsavers Pty Ltd (No 3)  FCA 793. ? You will remember that Winnebago (USA) successfully sued the Knotts for passing off in Australia but (in large part because of Winnebago (USA)’s delay in asserting its rights) the Knotts had developed their own reputation in Australia and so could continue using WINNEBAGO here provided it was used with an appropriate disclaimer (here and here). The damages were to be assessed. Knott Investments, the company that built and supplied the “Australian” Winnebagoes will have to pay a royalty calculated at 1% of its sales on all sales made from 6 years before the proceedings were started until the disclaimer was put in place. The dealers who sold the vehicles will also have to pay a royalty of 1% on their sales in addition, but only from the date proceedings were actually commenced. the applicant suffered no damage by way of a lost royalty (in effect, no lost “sale”) because the applicant would not have licensed the respondents to use the Winnebago marks in the first place. Under this principle, a plaintiff is entitled to recover, by way of damages, a reasonable sum from a defendant who has wrongfully used the plaintiff’s property. The plaintiff may not have suffered actual loss from the use, and the wrongdoer may not have derived actual benefit. Nevertheless, under the principle, the defendant is obliged to pay a reasonable sum for the wrongful use. The reasonable sum is sometimes described as a reasonable rent, hiring fee, endorsement fee, licence fee or royalty (amongst other expressions), depending on the property involved and the nature of the wrongful use. Black CJ and Jacobson J in a copyright case in the Full Court had appeared to reject the application of that principle. Yates J, however, considered the principle could and should be adopted in the context of passing off (and trade mark infringement) on the basis of a long line of English and Australian cases applying the principle in the context of trespass to real property, conversion, detinue and intellectual property infringements. Otherwise, the respondents would escape liability for damages as a result of the very thing that made their conduct unlawful: the lack of consent by Winnebago (USA). The respondents also argued that no damages should be payable because, as the Full Court found, they had a concurrent reputation in WINNEBAGO in Australia. Yates J rejected this too. His Honour considered that the existence of concurrent reputations – one which did not require a disclaimer and one which did – meant there was value in being able to use the reputation without any disclaimer. Yates J arrived at the royalty of 1% on the basis that Winnebago (USA) had granted a licence to an Australian licensee at that rate and, while various other considerations were entered into, that was an appropriate round number. Three points in relation to the dealers. Yates J rejected their first argument: that they should not be liable for anything as the supplier, Knott Investments would already have paid a royalty. However, the dealers’ sales of vehicles in passing off were separate wrongs to those of the manufacturer and so required separate compensation. Secondly, while Winnebago (USA) did not submit evidence about what damages the dealers’ actions caused, it claimed a royalty of 4 or 5%. Yates J considered, in the absence of evidence, that a royalty of 1% would be consistent with that imposed on the supplier. The difficulty for the applicant is that the evidence does not address the question of what the dealers knew or thought. Even if they might have been aware of the applicant’s activities in the United States or in other overseas markets, it does not follow that they also understood that the applicant had a reputation of any significance in Australia, let alone one that was capable of legal protection, or, more importantly, that, prior to the commencement of this proceeding, the applicant was claiming that it had rights in Australia in respect of the Winnebago marks and that the commercial activities of the first respondent and its dealers constituted an infringement of those rights. However, from the time of commencement of this proceeding, when the applicant’s claims were exposed, the position of the second to twelfth respondents was different. From that time, they were on notice of the applicant’s claimed rights. Their persistence in using the Winnebago marks after this notice constitutes fraud in the relevant sense. The need to show “fraud” is another difference between the tort of passing off and the action for misleading or deceptive conduct under the Australian Consumer Law. Aristocrat Technologies Australia Pty Ltd v DAP Services (Kempsey) Pty Ltd (2007) 157 FCR 564;  FCAFC 40 (Aristocrat) at -. ? One of those cases was Bunnings Group Ltd v CHEP Australia Ltd (2011) 82 NSWLR 420;  NSWCA 342, in which the leading judgment was given by Allsop P, now the present Chief Judge. ? Tonnex was found to have infringed Dynamic’s copyright in its printer cartridge compatibility chart. That finding was upheld on appeal. Now, Yates J has ordered Tonnex to pay Dynamic $150,001.00 in damages. The damages are comprised of compensatory damages under s115(2) of $1.00 and $150,000 by way of additional damages under s115(4). The $1.00 nominal damages was agreed by the parties before the hearing. Interestingly, Yates J did not comment on this. Dynamic had argued for an award of additional damages of $400,000; Tonnex, while denying any award should be made, argued for an amount in the “tens of thousands”. Yates J arrived at $150,000 in the exercise of his Honour’s evaluative judgment. Yates J’s reasons contain a useful summary of the applicable principles for the court to decide whether it is appropriate to award additional damages at  – . Recognising that flagrancy is not required before an award of additional damages can be made, his Honour nonetheless found that the infringement was deliberate and studied. Although Tonnex’ directors denied knowledge of the copying and gave evidence that they had specifically instructed there was to be no copying, the knowledge and acts of the employees involved – who included the National Marketing Manager – were at  relevantly the acts and knowledge of Tonnex. Further, Tonnex’ position throughout had not just been reliance on legal advice that copyright could not subsist in such a compilation. It had hi-handedly denied any copying at all. Yates J also noted that, even if the directors were innocent of infringing knowledge, the situation should have changed after detailed particulars of infringement had been served (albeit late in the picture). Those particulars appear to have identified mistakes and other typographical peculiarities in the Tonnex catalogue which were really consistent only with copying from Dynamic. In other words, the directors were put on inquiry. …. The cessation of Tonnex’s conduct was taken at a time of its own choosing, without regard to Dynamic’s rights. Regardless of Mr Solomon’s and Mr Kozman’s state of knowledge in that period, by reason of Mr Rendell’s knowledge, Tonnex must be taken to have known the true position regarding its copying of Dynamic’s Compatibility Chart. With that knowledge, it undoubtedly took commercial advantage of its wrongful conduct. Tonnex did introduce an approvals process to vet material before it was published in future. Yates J was not particularly satisfied by this. His Honour was also concerned that Tonnex’ witnesses did not really exhibit appropriate contrition, but rather saw the litigation as a tactic by Dynamic rather than vindication of its rights. The need to mark the court’s disapproval of Tonnex’ conduct and signal to the community that it was not alright to copy others’ property with impunity (i.e. deterrence) also played roles. Contrast the apparent questioning of the practice raided by French and Kiefel JJ in [Venus Adult Films v Fraseride][venus] at . ? it is fair to say his Honour expressed a degree of scepticism towards this evidence at esp. and . ? Perram J has awarded $10 nominal damages for trade mark infringement against each of Scadilone, White Heaven and Quality Kebabs, but $91,015 additional damages against Quality Kebabs. 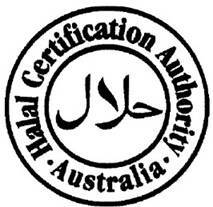 The Halal Certification Authority does just that: it certifies that food has been prepared according to the relevant Islamic (halal) requirements. It has a registered trade mark for the use of which, like other such schemes, you pay appropriate licence fees and comply with the standards set. Quality Kebabs makes and sells at wholesale meat products. It supplied some of its products to 2 kebab houses: Scadilone and White Heaven. The employee/sales rep. also provided them with certificates bearing HCA’s trade mark. Unfortunately, Quality Kebabs was not certified by HCA and it had not paid the licence fees. HCA had sought compensatory damages based on its lost licence fees: about $5000 for a year’s licence from each of the kebab shops and roughly $60,000 from Quality Kebabs because its conduct occurred over parts of 2 different annual licensing periods. Accepting that a lost royalty or licence fee could be appropriate, Perram J refused this. Damages under s 126(1) are compensatory. There was no likelihood that any of the infringers would have contemplated entering into a licence at those prices so there were no “lost” licence fees. The kebab houses did want assurance that the meat was halal, but that did not necessarily mean they wanted to promote their shops, as opposed to the meat, as halal certified. Perram J found that, if Quality Kebabs had known HCA’s trade mark was registered and licence fees were payable, it would not have used the trade mark. Instead, it would have copied someone else’s certificate. Therefore, there was no basis to infer that HCA had been deprived of its licence fee. There was also no order for damages for reputational damages. The signs were displayed in only 2 shops for limited periods. There was no evidence that anyone had seen them or even whether or not the meat was in fact halal. Perram J considered that the additional damages contemplated by s 126(2) were intended to have a deterrent effect. Scadilone, White Heaven and their principals escaped liability for additional damages as they were innocent infringers. They had simply put up the certificates they were given and removed them, more or less promptly, when complaint had been made. …. If the damages were to be fixed at the level of the applicant’s wholesale licence fee this would strip Quality Kebabs of the benefit it has received of using the trade mark without having to pay for it but it would not, in my opinion, be a sufficient deterrent. It would mean that an infringer could acquire, in effect, a compulsory licence to use a trade mark subject only to paying for it. It would create a ‘use now’ and ‘pay later’ state of affairs. That situation would eliminate the capacity of the trade mark owner to control who used its trade mark. To achieve the deterrent effect and having regard to the other factors, Perram J increased the damages by a factor of 50% over the applicable licence fees. Thus, about $60,000 for the licence fees that should have been paid for the two years in which the infringements occurred plus a further $30,000. There was no award for damages under the ACL. Although the conduct was plainly misleading, Perram J found there was no evidence that HCA’s reputation had suffered any damage. S 126(2) is in similar, but not identical, terms to s 115(4) of the Copyright Act 1968. ? … the applicant’s fee in those years was an annual one of $27,090 and $33,580 respectively. Although Quality Kebabs only used the trade mark for the 13 month period between August 2012 and September 2013 I do not think that these fees should be subject to a pro rata reduction. Had Quality Kebabs followed the correct path of obtaining the applicant’s permission it would have had to have paid both annual fees in full. ? Flick J has provided a timely reminder that a registered trade mark does not always trump common law rights in passing off or under the Australian Consumer Law, in finding that Nappy Land and nappyland.com.au passed off Nappyland’s rights in NSW. It seems like Mr Ngo and Mr Ho had very different views about who bought what when their partnership came to an end. Be that as it may, there doesn’t appear to have been any real dispute that Mr Ngo and CI JI Family were operating throughout the period in NSW as effectively Nappyland or that National Australian Nappies was operating outside NSW as Nappy Land. At some point, it appears in or about 2013, however, National Australian Nappies, started attempting to enter the market in NSW. CI JI Family and Mr Ngo sued seeking interlocutory relief, but secured a speedy trial instead. (1) Except as provided in subsection (2), this Act does not affect the law relating to passing off. (d) that, when the defendant became aware of the existence and nature of the plaintiff’s trade mark, he or she immediately ceased to use the trade mark in relation to the goods or services in relation to which it was used by the plaintiff. The fact of the trade mark registration therefore provided no protection against either the passing off or ACL claim. Despite aspects of the evidence being less than satisfactory, Flick J held there was sufficient evidence that the public in NSW was being misled or deceived and so s 18 of the Australian Consumer Law was contravened and there was a passing off. His Honour went on to award damages of $25,000 as an exercise in “judicial estimation” rather than impermissible “imagination” with further orders to be decided at a later hearing. Presumably, unless bought out, CI JI Family will seek injunctions to stop further use in NSW of Nappy Land unless some form of disclaimer can be arrived out which prevents the misrepresentation. We shall have to wait and see.